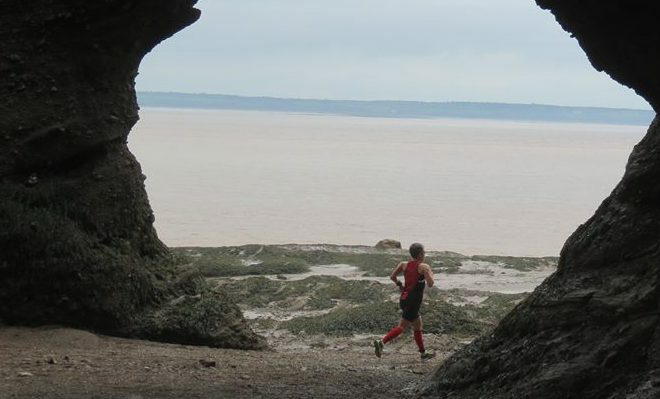 Last weekend New Brunswick athletes were demonstrating just how much above our weight this province can punch when it comes to endurance sport. In Ironman Mont Tremblant dozens of NB Triathletes completed the 3.8-km swim, 180-km ride and 42.2-km run. And the results were beyond impressive. Cedric Boily of Moncton not only won his division he was 5th overall (including Pros, first age-grouper) in a time of 8:31:26, including a 2:57:04 marathon! Marc Arseneau of Bathurst was 2nd in his division, Michel Savoie of Balmoral was 4th in his division in 10:44:26 and Chris McNamara of Saint John was 9th in his division in 10:00:55. Congratulations to all our triathletes. In PEI it was the Atlantic Triathlon Championships. In the Sprint Draft legal event Jonathan Taylor of Halifax was top male in 1:07:14 while Kate Timms of Toronto was top female in 1:12:57 both nabbing a spot for World Championships. In the Atlantic Championship non-drafte sprint Michael Roy on Moncton won in 1:08:56 for men and Lisette Caissie of Robinson Illinois was top woman in 1:13:32. In the Standard Distance Worlds Qualifier and Atlantic Championship Tyler Cole of St Johns led the way in 1:59:20 for men while Jacqueline Jenkins of Calgary took the women’s title in 2:21:21. In the Standard Aquabike World Qualifier Adam Aldred of West Pubnico was the men’s winner in 1:34:06 and Elizabeth Seiffert of Hanwell was the women’s winner in 1:35:37. The Aquathalon World Qualifier winner was Cory Mcguigan of Halifax for men in 39:45 the same time as Jessy Carveth of Sandford, the women’s winner. The runners were impressive as well, especially in Miramichi. Not one, but two Canadian records were set at the Miramichi Mile. Raymond Caissie broke the 70-74-year age group record that he himself had set only a week before with a fast 5:47 clocking. Patty Blanchard smashed the women’s 60-64-year age group record in 5:44, 57 seconds faster than the previous 6:41 held by Liz Shad of Ontario. In Saint John the August Run for Renee had some great performances as Brady Graves led the way with a 16:03 for the men and Corinne Fournier was the top woman in 21:10. Seven runners set personal course records against a headwind and heat. In Chipman the 10-km event went to Laura Richard in 43:34 for women and Nicholas Larade for men in 35:53. This week our Person on the Run has done the near impossible. A 5th place finish at Ironman Mont Tremblant including the pros. Cedric Boily of Moncton is simply an awesome Ironman and indeed our Person on the Run.